Please read the hadith which some Companions who remained in the Company of the Holy Prophet, they did innovations after the death of the Messenger of Allah. We have mentioned this hadith here because our Sunni fellows claim that all the Companions of The Holy Prophet used to follow The Prophet promptly and exactly. 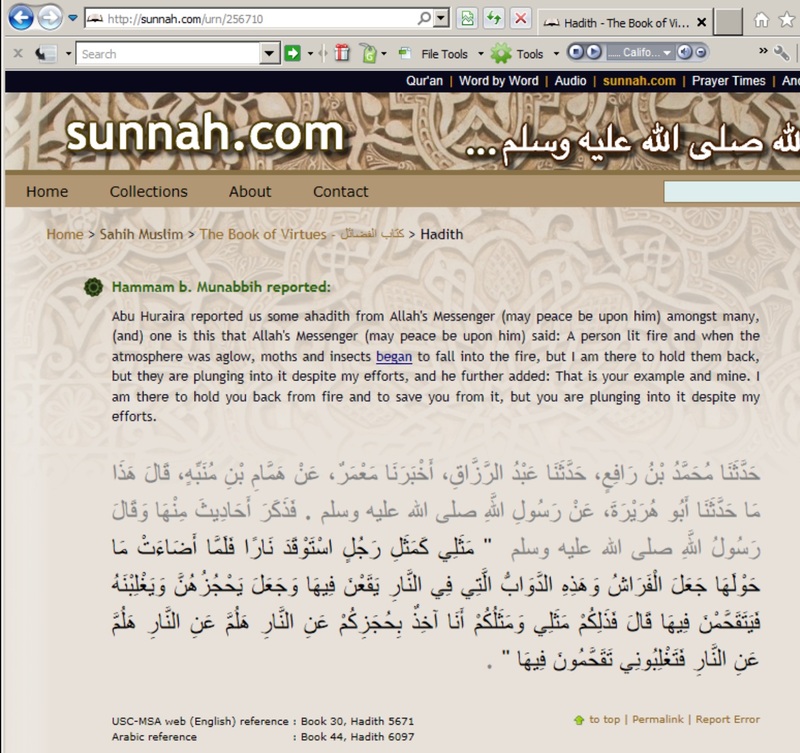 But this narration from Sahih Muslim say something different. 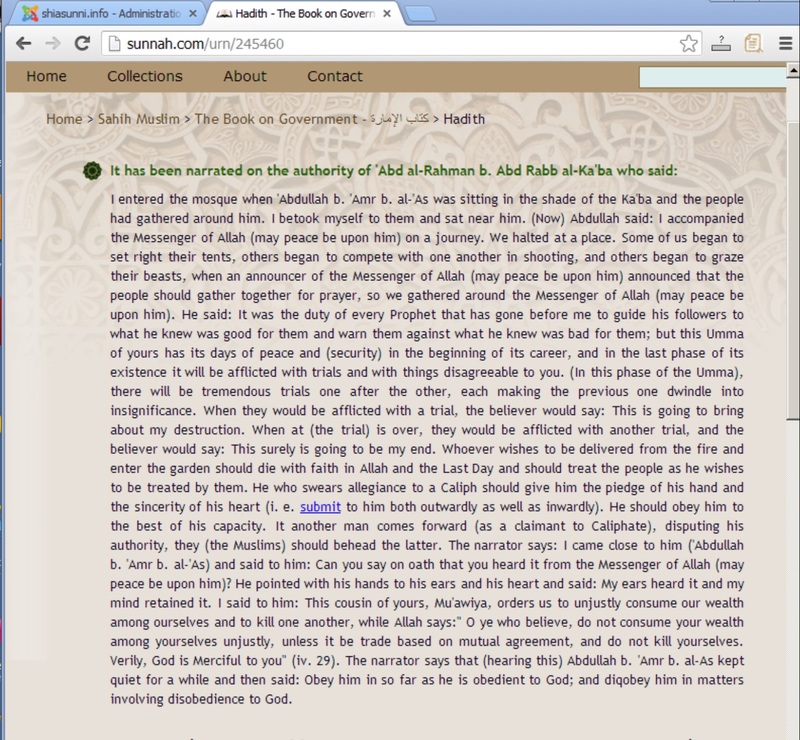 Please read the narration in Sahih Muslim that a Companion who was the Governot of third Caliph Uthman, he came is the mosque as a drunk. He lead the morning prayer 2 rak’ats while he was drunk and said I can increase more. Please read the last part of the narration. ” This cousin of yours, Mu’awiya, orders us to unjustly consume our wealth among ourselves and to kill one another, while Allah says:” O ye who believe, do not consume your wealth among yourselves unjustly, unless it be trade based on mutual agreement, and do not kill yourselves. Verily, God is Merciful to you” (iv. 29). The narrator says that (hearing this) Abdullah b. ‘Amr b. al-As kept quiet for a while and then said: Obey him in so far as he is obedient to God; and diqobey him in matters involving disobedience to God. It is hard to understand the theory of our Sunni fellows that all the Companions are righteoues and stars, follow anyone you will be guided! We have mentioned such narrations here just to correct our Sunni fellows who claim that all the Companion of The Holy Prophet are like stars follow anyone you will be guided. But in Bukhari and Muslim we find some shocking facts that all the Companions are not righteous, even they falsely sworn in front of The Holy Prophet (pbuh). Please read more narrations in chapter The Book of Inovoking curses.